Simple, fast, easy to use, and fun. Hosting forums for over 14 years, ProBoards is the largest provider of free forum hosting on the Internet. With data redundancy and offsite backups, your community is safe with us. With staff on hand every day of the week and people online to answer your questions at any time, come find out why people rave about our best-in-class support! Our super simple admin tools make managing your forum a snap! You'll like the clean organization of our easy to use admin area with clear language and a simple layout. 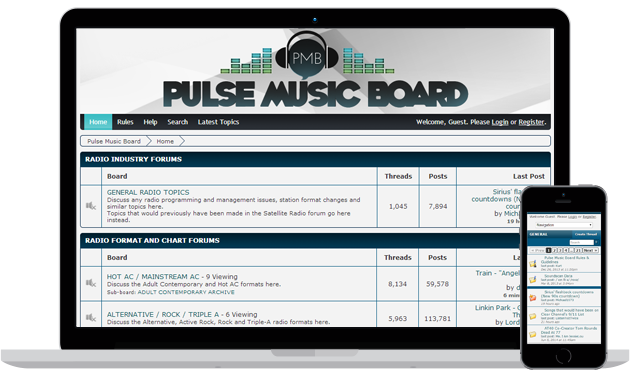 Find and install complete themes made by other ProBoards members that will transform your forum with the click of a button. With hundreds of themes to choose from, there's bound to be one that's perfect for you. Browse hundreds of user-submitted plugins that allow you to customize your forum with a single click. Adding new functionality has never been this easy. Your forum comes with a built-in mobile view so you can take your community with you wherever you go. Every ProBoards forum is also compatible with the Tapatalk family of native apps for even easier mobile browsing. Our built-in forum analytics make sure that you always know exactly what's happening on your forum. Easily track pageviews, new member registrations, and more from a single page. With integrated sharing options, your community can share links to your forum quickly and easily. Your content is automatically optimized for sharing and displays beautifully in social networks. ProBoards v5 was built from the ground up to be searched. Utilizing the latest technologies, your forum is already set up to rocket up the search rankings, helping you grow your community. Each week, ProBoards selects one extraordinary forum to feature on our homepage, Facebook page, and on Twitter. Below are the most recent winners submitted by their hard working owners.